Female superstars always maintain their good looks. 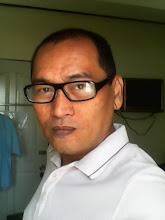 Thus, they have their own beauty secret to keep their skin glowing, hair shiny, teeth glossy, and others. We always thought that they use expensive beauty regimen to achieve that superstar look. That’s where we are wrong. They also have natural home remedies for beauty. They prefer natural solutions to achieve better results. Let us take a look at the top 7 ideas on home remedies for beauty which we are not aware off. 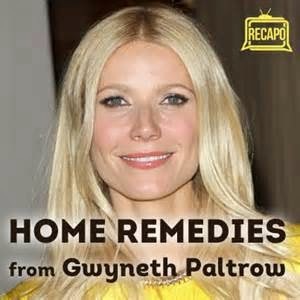 Gwyneth Paltrow swore that to keep her skin glowing, other than taking her vitamins, she drinks a lot of water. It is quite logical that when the body is dehydrated, wrinkles tend to appear fast. Also, water helps increase blood flow which is important in flushing down toxins; thereby, helping the skin more glowing. Sean Combs always bring along with him FIJI water to keep him hydrated. Jessica Biel adds sugar to water and uses it as her exfoliation regimen. Fruits are one major source of natural home remedies for beauty. Catherine Zeta Jones always has a ready smile on her face, thanks to strawberry. Yes, she brushes her teeth with crush strawberries as it is full of malic acid and when mixed with baking soda, works like a mild astringent. While malic acid does harm your teeth, a little brushing with it won’t result to immense harm provided you gargle well. It is a natural way to whiten your teeth. Nicole Kidman is known to use cranberry juice to maintain the red color of her hair. Fruit juices and milk are very popular ingredients as natural home remedies for beauty. Cindy Crawford uses even proportions of full fat milk and mineral water and loads it to bottle sprays. She sprays it on her face when she feels it needs moisturizing. While Michelle Yeoh on the other rinses her face with water then dab a cotton ball with lemon juice to make the skin firm, reduce oily skin, and minimize skin spots. Oils are also natural essentials for beauty treatments. For example, Julia Roberts takes care of her toe and finger nails by dipping her nails into olive oil. It moisturizes the nails without making it weak. It also makes the cuticle softer. Castor oil is a favorite of Catherine Zeta Jones to keep her hair shiny. Kelly Rowland prefers Moroccan oil to rub on her hair as a conditioner and on her shoulders at the same time to keep her skin glowing. Red wine is a strange ingredient for beauty maintenance but Teri Hatcher is no stranger to this. She pours red wine on her tub while relaxing in it. According to her, it makes her skin rejuvenated and glowing. Toothpaste for some is effective when removing acne and other skin inflammation like Jennifer Love Hewitt does when she has acne inflammation. Celebrities do not always indulge in buying expensive beauty treatments to maintain their beautiful body. They seek help from several items in their kitchen too.